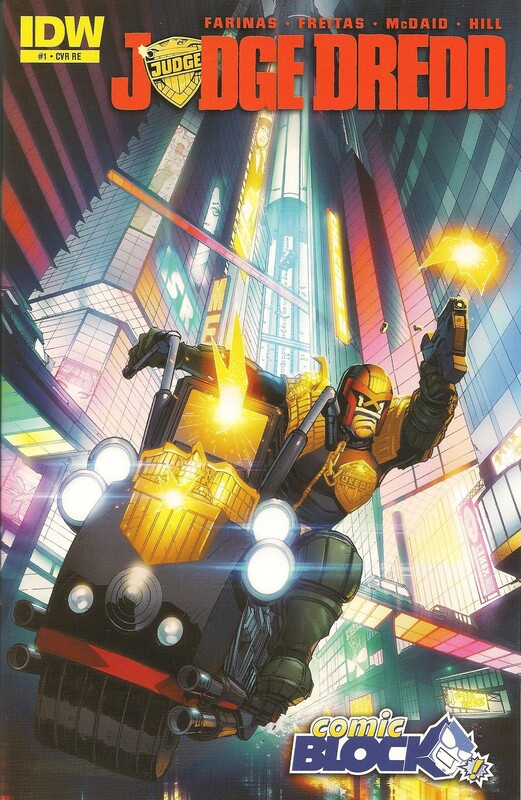 This month’s Comic Block had a Judge Dredd Theme. I AM THE LAW! First off let me say that this month’s Comic Block took a ridiculous amount of time to get here. I got the “Your Order has Shipped” E-Mail on December 14rd and didn’t receive the box until January 12th. 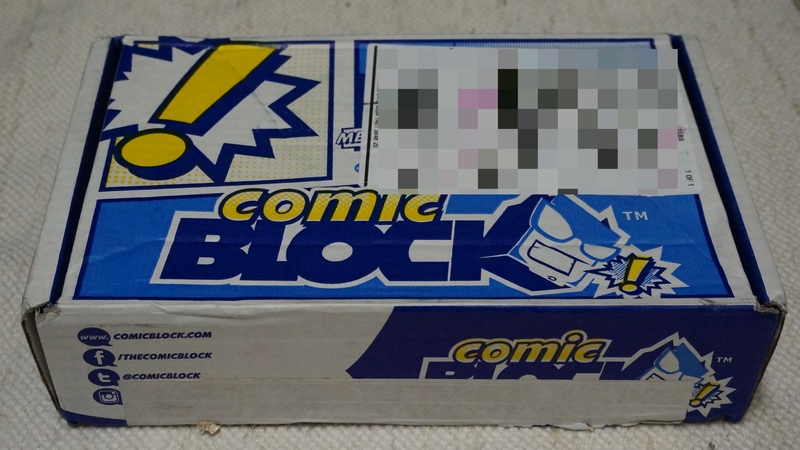 My Comic Block was being processed by UPS for an entire month! It’s not that I’m mad that it arrived so late in January, it’s that it told me it was coming and then nothing happened for the better part of a month. Apparently the people of Comic Block tweeted out that the boxes were going to be late due to Christmas but still, we all knew Christmas was coming and it feels like a lack of plan on their part. These multi-publisher crossovers seem to be what IDW does the most these days. We’ve already seen one of these in the July Comic Block with Green Lantern / Star Trek. I actually thought the Green Lantern / Star Trek crossover was a pretty solid book… The Batman / Teenage Mutant Ninja Turtles, not so much. I’ll be honest I thought this book was going to be garbage the second I saw it, but decided to give it the benefit of the doubt, after all it did have James Tynion IV as the author so it couldn’t be that bad? Well it wasn’t god awfully bad but it wasn’t good either. It was very meh, which might be worse than it just being a fun terrible book. The story doesn’t matter because its so forgettable that I already don’t remember what happened and I literally just finished reading it. The art is actually pretty terrible which was a huge disappointment. It is a watercolor shaded style which just looks cheap. 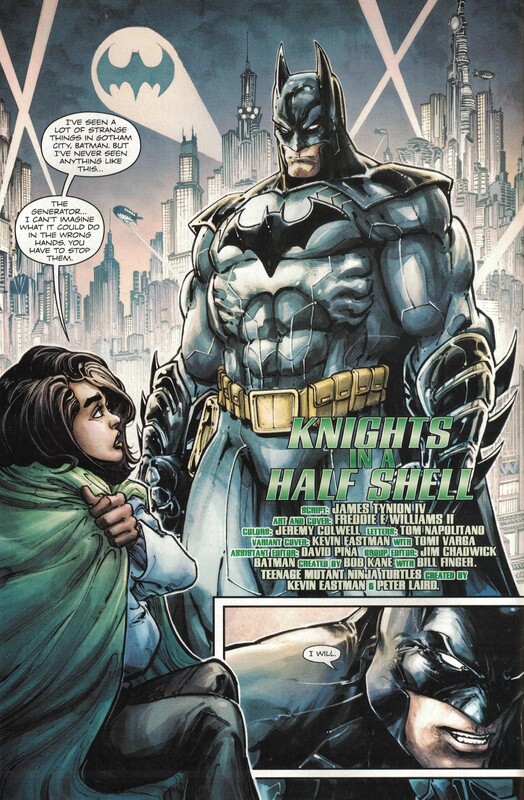 The turtles look decent but all the Batman aspects look like they were drawn by someone who is drawing Batman for the first time. The Batmobile is probably the worst version of the Batmobile I’ve ever seen. If you love the Turtles and Batman maybe this is for you, but for everyone else I would just pass. When I found out this book was going to be in this month’s Comic Block I was very excited. 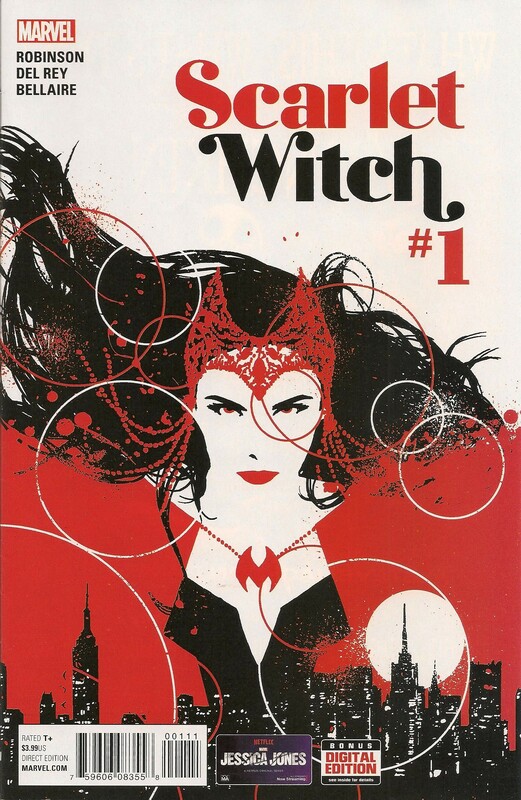 Scarlet Witch is one of the characters I don’t know very well but would like to find some good stories to dive in to. Unfortunately this isn’t the book for that. The only Scarlet Witch arc I’ve read was House of M in which Scarlet witch depowered all but a couple hundred mutants simply by saying “no more mutants” and Avengers vs. X-Men when she fought Hope Summers. I enjoyed both of those stories but neither really gave me a clear explanation of what Scarlet Witch’s powers are, other than she is extremely powerful. So I was looking forward to this comic to hopefully bring some clarity. Clarity I did not get. So apparently Scarlet Witch is not a mutant but is actually a real witch and her powers are possibly spell based? This comic centers around Scarlet Witch going to a crime scene to help the cops out with a murder that seemed to be magically motivated. This is super weird. 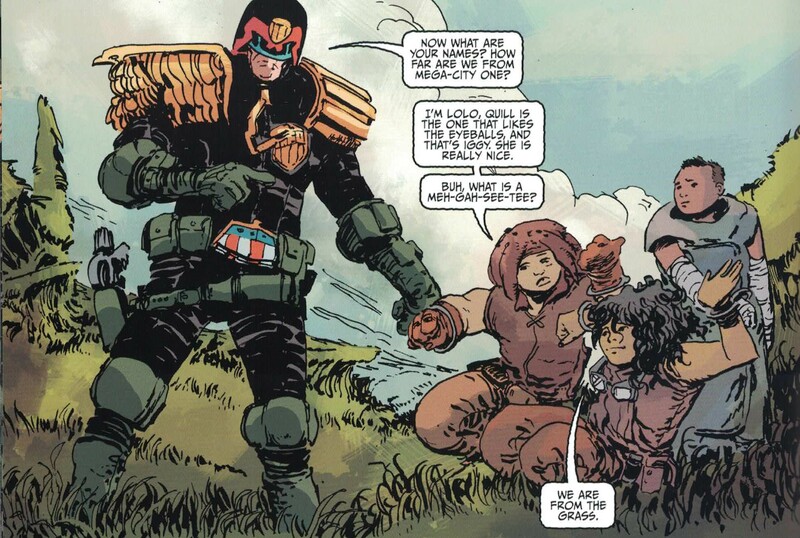 It is basically like a episode of Law & Order but with a mutant, in costume, helping out. 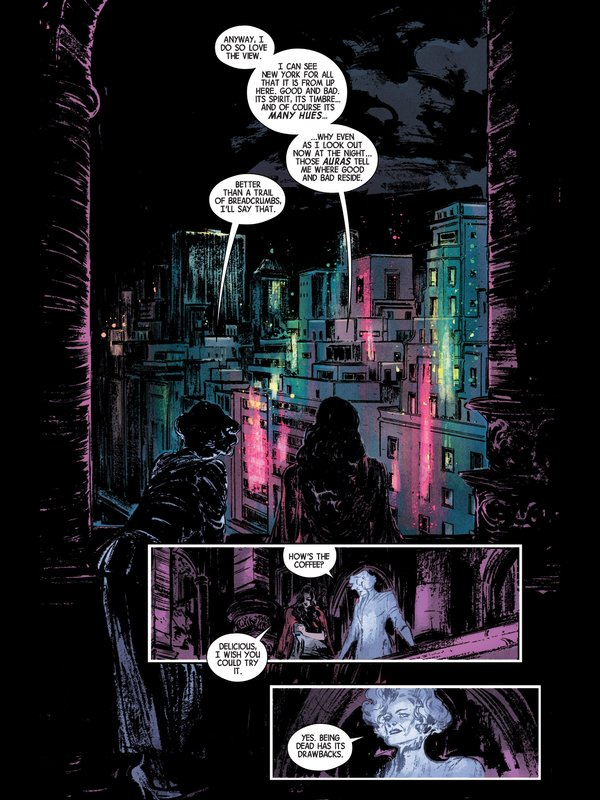 Turns out that the murder was actually possessed by a demon and said demon had actually possessed the lead detective that was with Scarlet Witch at the crime scene. Scarlet Witch was able to exorcise that demon and save the detective. This comic is weird. 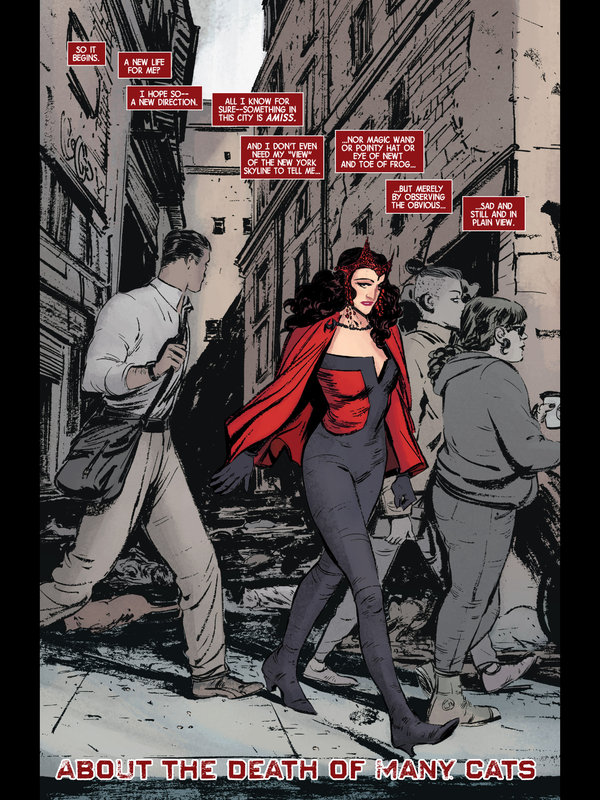 It’s a crime procedural, Scarlet Witch has a ghost friend that hands around her apartment, and she walks around New York in costume without anyone giving her a second look. 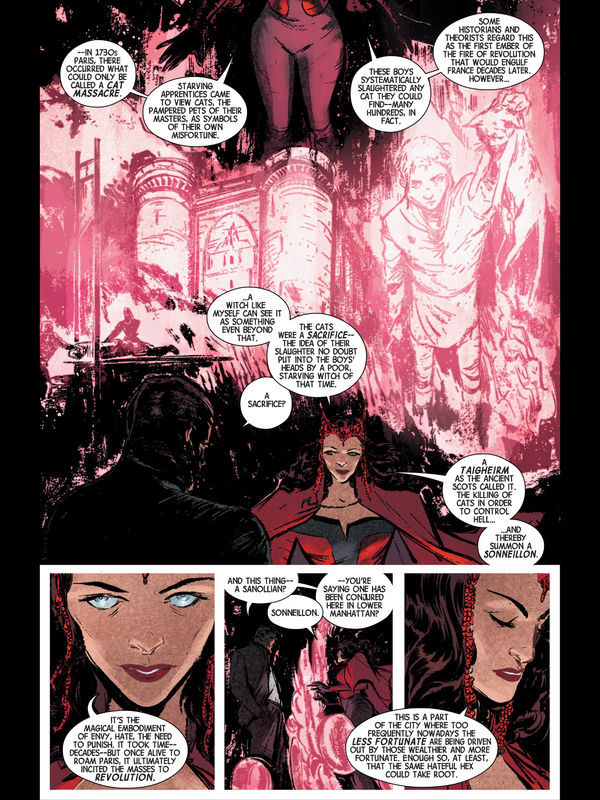 There was also a part where Scarlet Witch talks about the Cat Massacre of 1730 which is a part of history that I could have been perfectly fine not knowing about. 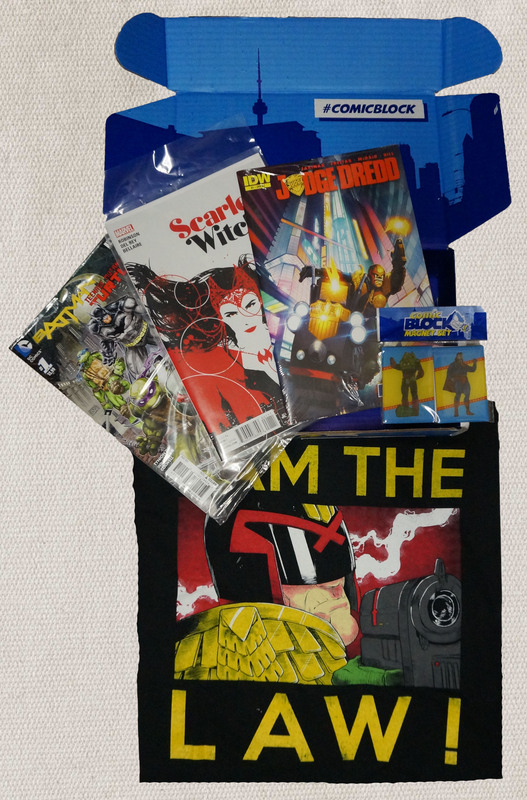 The shirt in this box had me pretty excited for some Judge Dredd, so much so I winded up watching the Dredd movie from 2012. So I was very disappointed and confused when I actually did read the comic. It wasn’t that it was particularly bad, its just that they are clearly going for a big arc here and this being the first issue we were left entirely in the dark of what was going on. 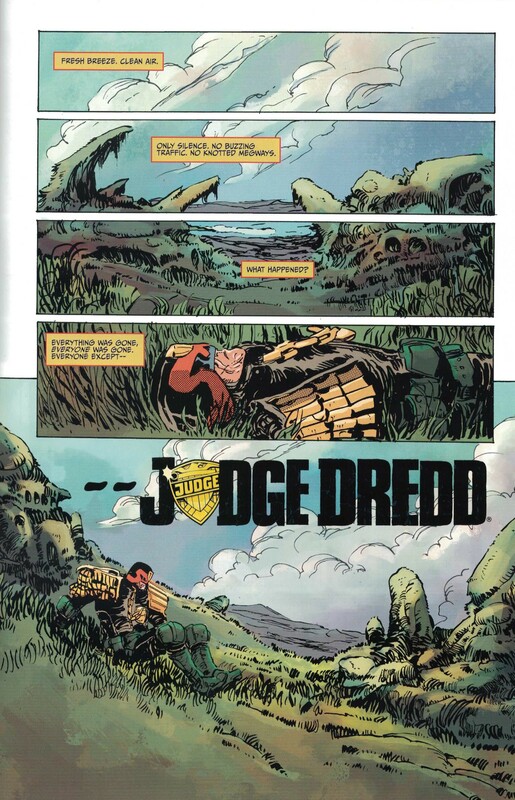 The comic begins with Dredd waking up in a field and clearly something happened and a large amount of time has passed. 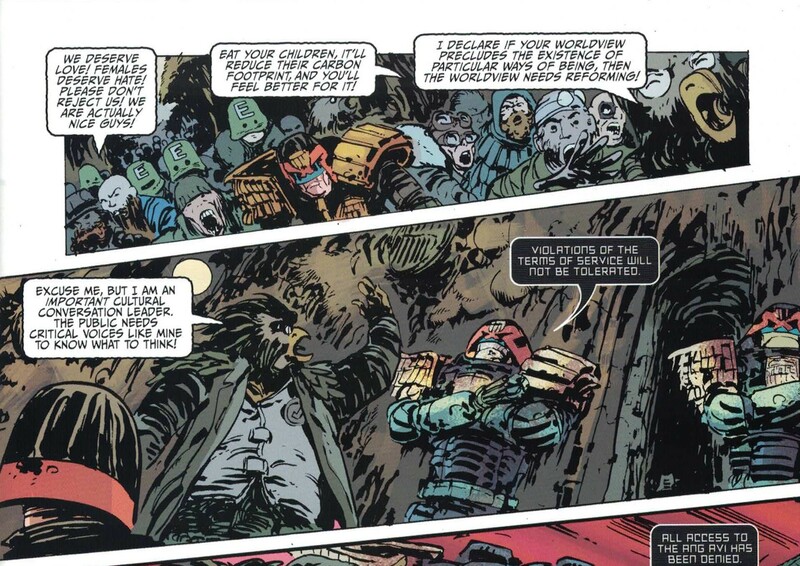 Dredd picks up a couple of moppets. They then go inside a weird building thing that looks like one of the mega cities and surprise it is a mega city! And that’s it, we don’t get any more information or plot. There is some weird stuff in this comic too. There is this strange herd of animal people that spout off weird vaguely political things that get mowed down. 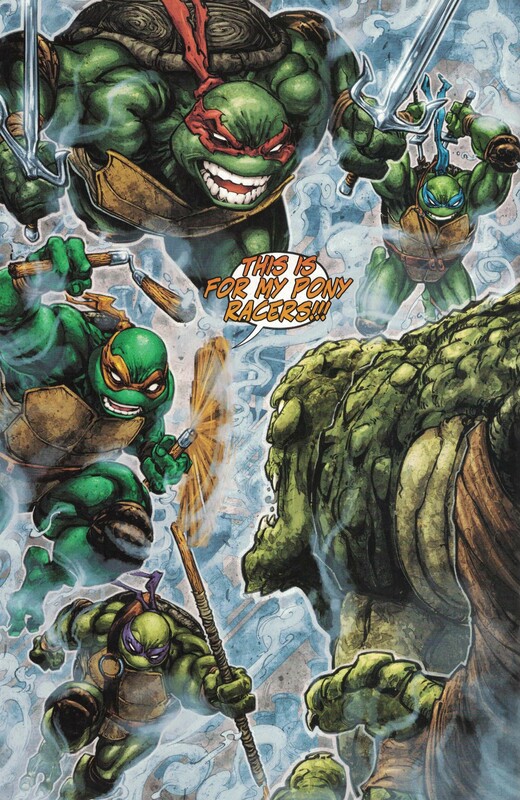 This might wind up being a great arc, its definitely got enough in this issue to have me intrigued. 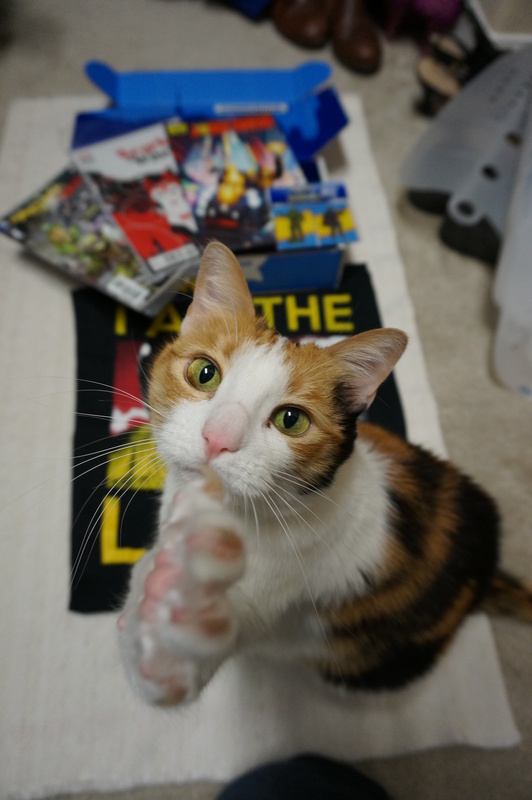 Finally here is a Bonus Cat picture, Aeris really wanted to help with the whole unboxing process.